If you purchased the book direct from me then don't forget to watch the exclusive 1 hr video. If you are a member of Dressagetraining.tv then you'll find this on the Rider Biomechanics homepage. If you can't find the link then please contact us. In this lecture Mary looks at the Lateral Lines (along the sides of the body) which effect both horse and rider on turns and circles. 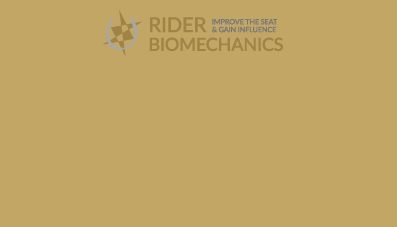 She provides exercises which give the rider greater stability on the side-to-side plane, and the ability to steer the horse's wither. A correct understanding of how to turn the horse without him jack-knifing makes a huge difference to the typical contortions of horse and rider. Straightness also influences how securely and consistently your horse will work in the Seeking Reflexes. Scrunching the horse's head and neck backwards by pulling back, fiddling with the reins, incorrect arm positions can all make 'The Seeking Reflexes' much harder. Tension in the wrong places can lead to hands which pull back. 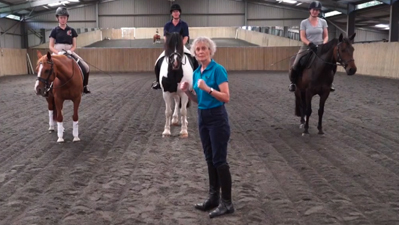 Mary will show you how to organise the shoulders, elbows and hands so you can maintain a better contact, match the forces of the horse and solve some very typical horse contact issues. 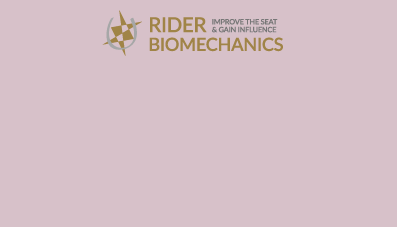 Mary discusses and demonstrates the spiral lines which affect side bends and lateral shifts in the rider - where the rib cage is displaced as in a break dance move. 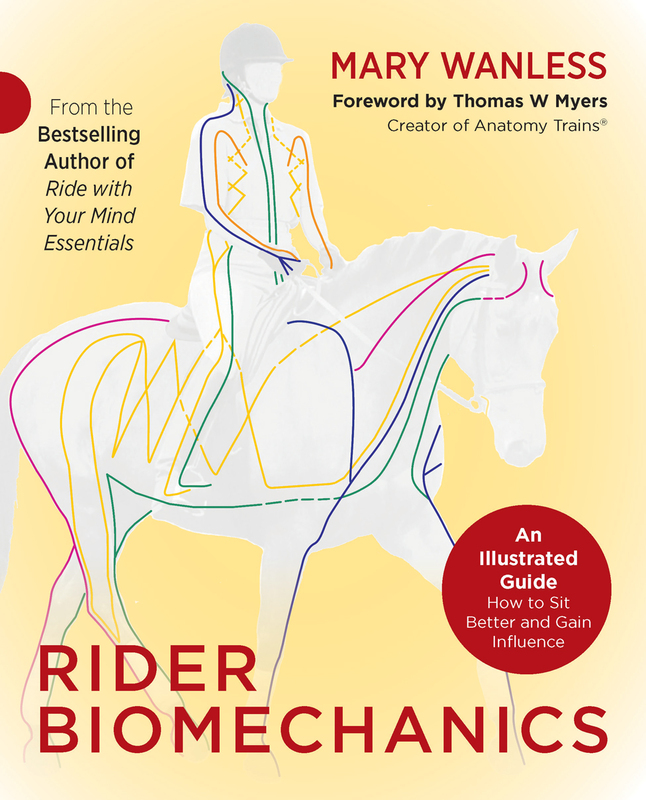 She also talks about improving your head position, the problems of seatbones being heavier on one side and the spiral lines in the rider's legs. Mary then demonstrates how the spiral lines effect leg-yield and shoulder-in. 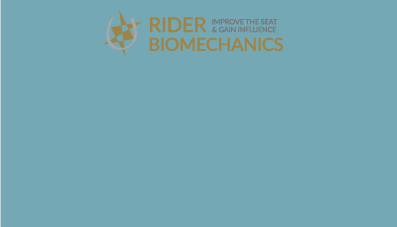 Accessing the Deep Front Line in both the rider and the horse are essential to developing the core stability required for transferring the weight back in the horse. When the rider can access their deep front line they can be in a position to get the horse to access his. In this final lesson we also put aside time to answer any questions or difficulties encountered by the members.